Living… during a strange time of widespread terror in California. The Zodiac killer is on the loose, and even though he has only had a few victims, the idea of a serial killer on the loose in the San Francisco Bay Area has veryone on their toes. Profession… detective for the San Francisco police department. David was assigned to the case after the murders of Cecilia Shepard and a San Francisco taxi driver. Along with his meticulous partner, Bill Armstrong, the begins investigating the case with extreme devotion. Relationship Status… married. His wife respects his work, but doesn’t like the notoriety and attention that goes along with being part of such a high profile case. 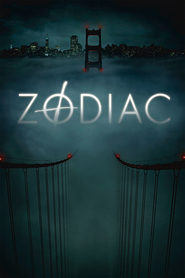 Challenge… solving the mystery of the Zodiac killer. David is working with police from Napa to San Francisco in a mad attempt to find and capture the killer. His best lead is a strange man named Arthur Leigh Allen, who has many obvious links with the Zodiac killer, but still can’t be prosecuted based on a lack of hard evidence. Personality… professional, quick-witted, and easily annoyed. David wants to go about his job without every nut and would-be amateur detective attempting to help him solve his case. He is a tough cop who always remembers details down to what he was wearing on any particular day and who he was with. He wears his holster on his shoulder and is always ready to respond to danger. David Toschi's popularity ranking on CharacTour is #4980 out of 5,000+ characters. See our top-ranked characters and read their profiles.